Deepti Menon has always believed in the power of the pen. Having done her post graduation in English Literature and her B.Ed. in English, she had the option of teaching and writing and did both with great enjoyment. 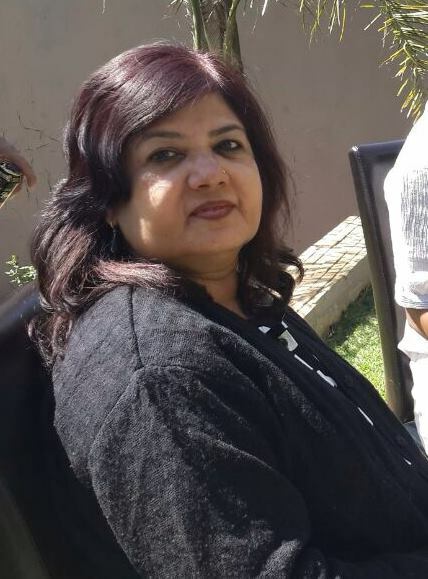 She started writing at the age of ten, long before she acquired a Diploma in Journalism. She also had the advantage of being an Army kid, and later an Army wife, and loved the idea of traveling around India, meeting new people and acquiring new skills. She firmly believes that much of her personality was honed during those travels. 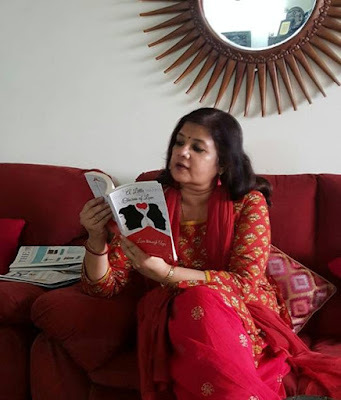 In 2002, her light-hearted book, ‘Arms and the Woman’, depicting life as seen through the eyes of an Army wife, was published by Rupa Publishers, Delhi. This was written mainly to reveal the warmth and camaraderie within the great institution. She is now working on her second book that is a work of fiction, and not-to-be divulged yet! 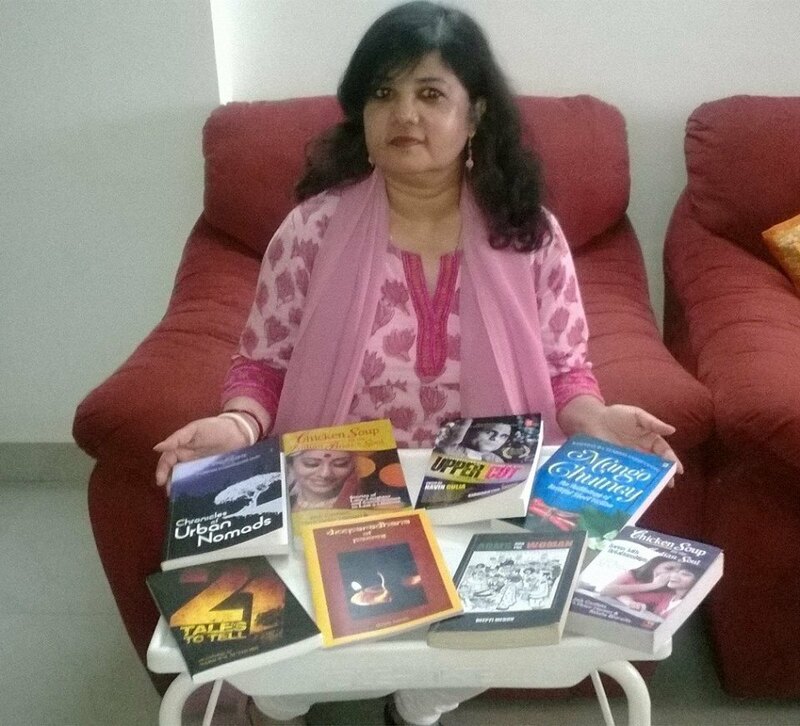 Welcome to ‘On Writing’ Deepti Menon. ‘Arms and the Woman’, your first novel came out in 2002 and was published by Rupa. You are now coming out with your next novel which is a thriller. You have been published in more than 12 anthologies and the number is increasing every day. But, why such a big gap between your novels? 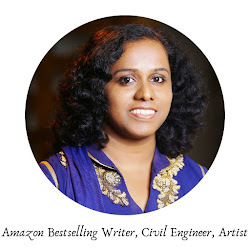 Hi, Preethi, thank you for featuring me on your blog. It is an honour. Why did I delay for so long before I wrote my second book? I worked as a freelance journalist for a number of years, doing enjoyable interviews, book and theatre reviews, and various pieces in magazines and newspapers. Then I meandered on to the genre of short stories, which devoured me completely. I have spent a long time in writing this book, almost twelve years or so. It started as a short story, and then grew onto a novella. But it proved to have a mind of its own. Finally, it emerged in its full form, and even then, I needed to keep pruning it and adding on to it. But I do not intend to take this long with my third book! You are on the winners’ lists in many online story-writing competitions. From where do you get inspirations/ ideas for your stories? As they say, life happens! And explodes like a volcano, releasing ideas and inspiration in its wake. Ideas are everywhere; all you need is to recognize them. When I was in an auto the other day, we stopped at a signal, and I suddenly caught sight of a middle-aged lady, sitting on the pavement, combing her long grey hair. She would comb the whole length, and then remove the hair from the comb. I waited for her to flick it down on the ground. Instead she twisted it round her finger, clump by clump, and then wound it around her big toe. There was a readymade character for my next story! My close relatives are petrified that I might put them in my next book. So most of them tiptoe around me as though they are treading on broken eggshells! My husband and daughter have often been the protagonists of my stories, but they definitely prefer that to being featured in my humorous pieces. I am a spontaneous kind of writer. Somehow, I can never plot the entire story. I get the germ of an idea and then thrash it around, like a dog with a bone, till it falls into place. I love the idea of a twist in the tale, and once that twist arrives, I know my story is done. In your latest Anthology ‘A little chorus of love’ your story is about an Alzheimer's patient. And it is a love story that defies disease and time. Are those characters completely fictional or are they someone you know? Yes, my story was about an Alzheimer’s patient. So many touching movies have been made on the subject. But the story is one moored in reality as I heard about a family that went through the all the trials that I have described in my story. Of course, I did add a few fictional details, but the story was already there in my mind, for a change. I had already been published in a couple of Chicken Soups. It was then that Raksha Bharadia, the Indian editor of the Chicken Soup series came to Chennai to conduct a workshop. She was an interesting and effective communicator and told us what was expected in a Chicken Soup story. That was the impetus for me to get a few more stories published in the forthcoming titles. In fact, I had three stories in Chicken Soup for the Indian Bride’s Soul. For your new novel, what is the target audience? How long did it take to finish writing it? Hopefully, 16 to 90! :) I would love to have as many people read my novel as possible. Like I said earlier, this novel took a long time to write, as it kept evolving over the years. Are you a full time writer? What other works are you currently working on? You have associated with various publishers via various anthologies. Which publisher has impressed you the most? 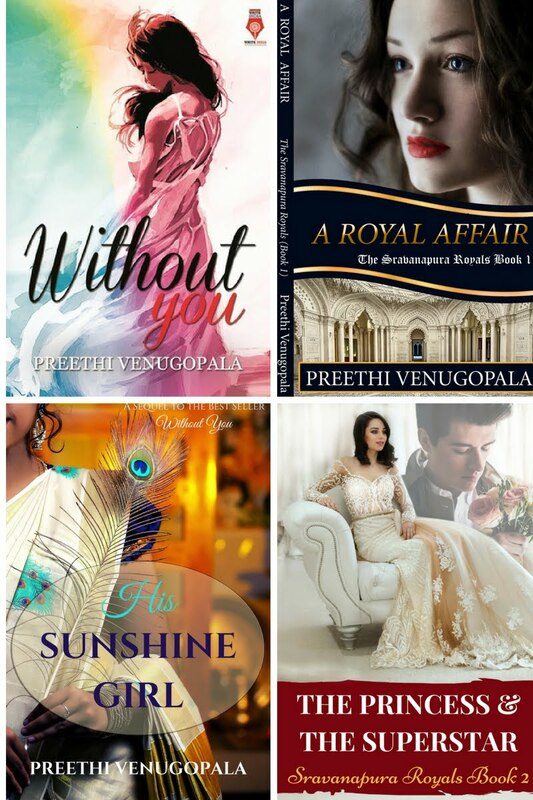 I have associated with various publishers, but the one website that I have been frequenting most is Readomania, run by the intrepid Dipankar Mukherjee, who is an amazing organizer and publisher par excellence. 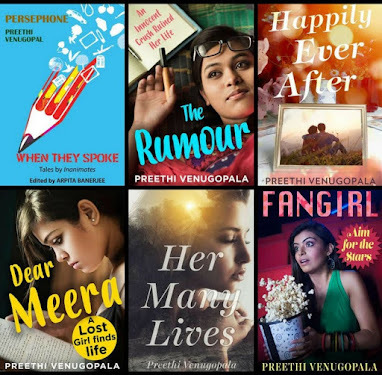 I am proud to have been part of all Readomania’s anthologies so far. 1. Look upon the world with rose colored spectacles and take in the best view. 3) Enjoy your writing! Be ruthless when you edit! There is no place for weak writing! Thank you, Deepti. It was an interesting chat. Wishing you the very best for all your future works. Click on the below links to buy her books. Wonderful interview, Deepti and Preethi! Thank you so much, Sundari! All credit to Preethi for those scintillating questions! Absolutely loved this interview, as I love your writing! Great job Deepti! Ayan, thank you so much for all your appreciation and encouragement! God bless!